France or the country of the Franks is a sovereign state located in Western Europe and is one of the major financial and economic powers in Europe and rest of the world. Being bordered by the Mediterranean Sea, The English Channel, the Atlantic Ocean and the North Sea, France is known for its premium beaches. Most of the beaches in France are known for their sandy shores and crystal blue waters with plenty of sunshine throughout the year. Apart from the sun and stand the beaches in France offer several water sports like surfing, wind surfing, swimming and snorkeling etc. 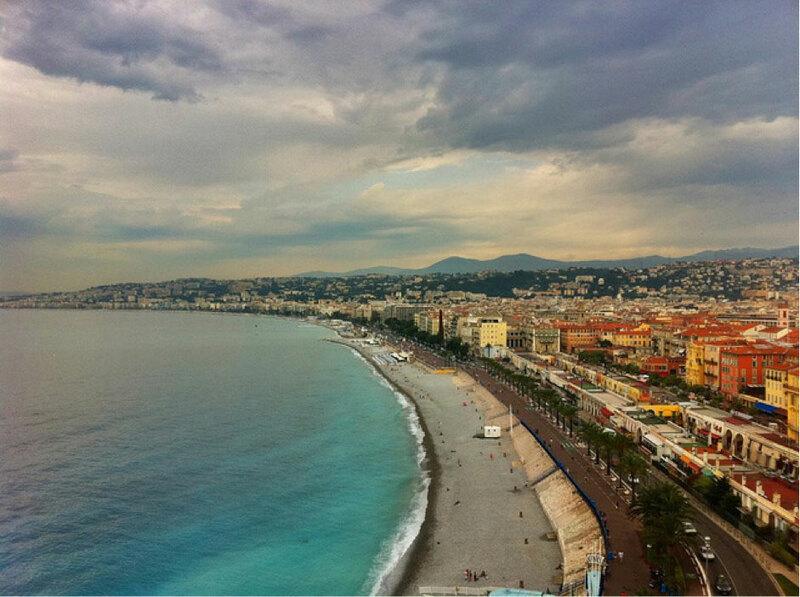 For all the beach lovers who have planned to spend their next vacation in the charming country of France, here’s the list of the best Beaches you can visit. Located at the shores of the Mediterranean Sea, Cannes is situated in the French Riviera and enjoys a warm and mild weather throughout the year with plenty of sunshine at the beach. The city is developed as a waterfront destination with plenty of beaches and seaside walkways. The beaches are divided in 32 sections with private and public entrances to each area. Located on the Mediterranean coast the town also serves as a sea port and houses a plethora of villas, hotels, bars, nightclubs, cabanas, and restaurants that provide it with its touristy feel. 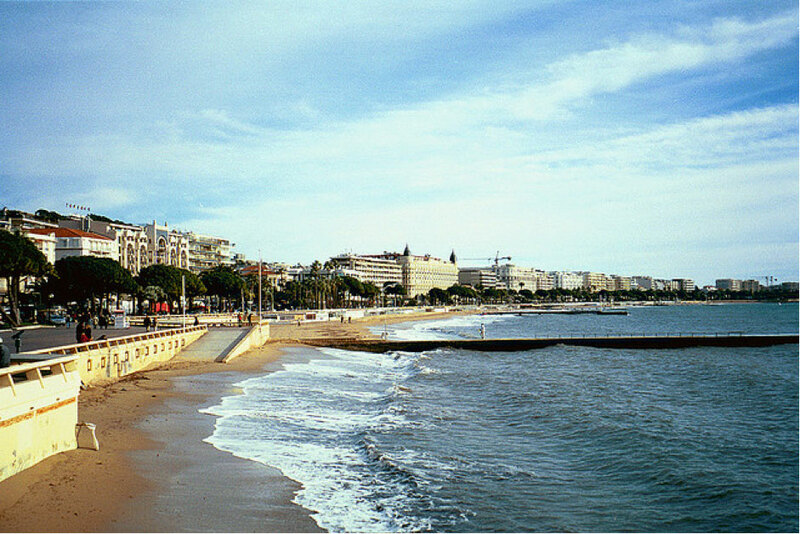 Promenade La Croisette is one of the major avenues that feature several restaurants, bars and expensive boutiques. Located in the principality of Monaco, Monte Carlo covers the East and the North-East regions of the microstate and is known for its extravagant beaches and Casinos. The town is also known famous for being the host of the Formula One Monaco Grand Prix, World Championship Boxing and star studded fashion shows. The beach is characterised by its white shores and blue waters and the Monte-Carlo Beach Hotel which is located in the far end of Monaco with its own private beach. There are several cabanas for the sunbathers on the beach along with several types of watersports activities. The Olympic sized heated-sea water pool is one of the major attractions in Monte Carlo along with the several nightclubs and casinos. 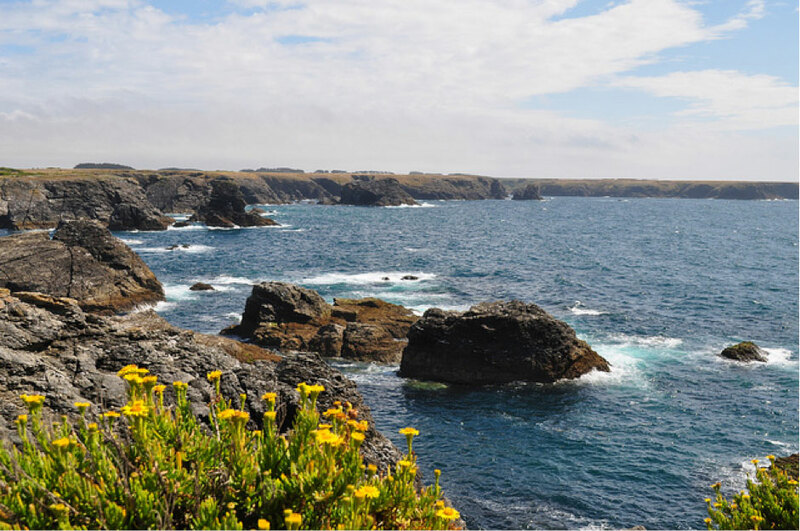 Located at the North-Western tip of France is the small fishing village of Ménéham in the coastal town of Kerlouan. The beaches are located by the shores of the English Channel and are known for its vast stretches of white sand. The village was built to serve as a Lookout post in the 17th century. 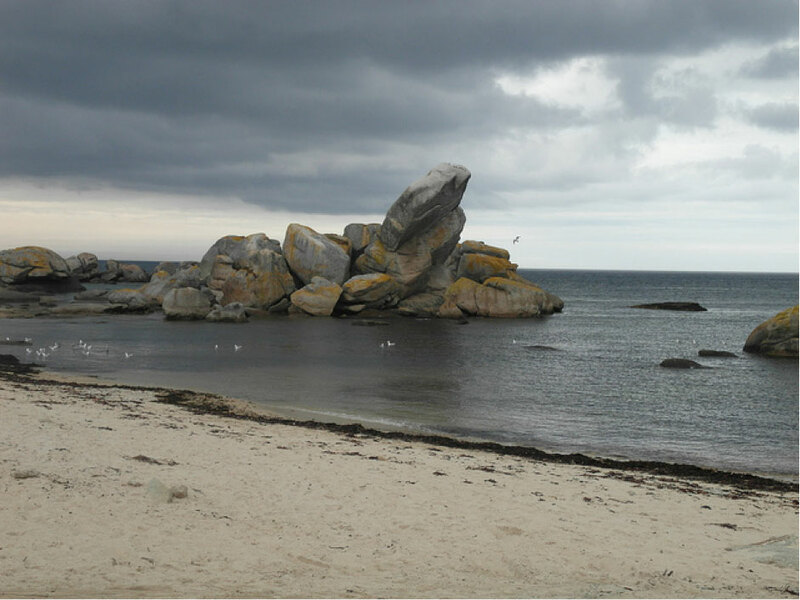 The lookout building is built around huge granite rocks and features a stone roof. If you want to experience the French countryside and the quaint shores with very few commercial establishments, Ménéham will not disappoint you with its vast grassy meadows, a mild climate and white shores. The lookout building has now been converted to a beach restaurant and is a nice place to dine in the evenings. 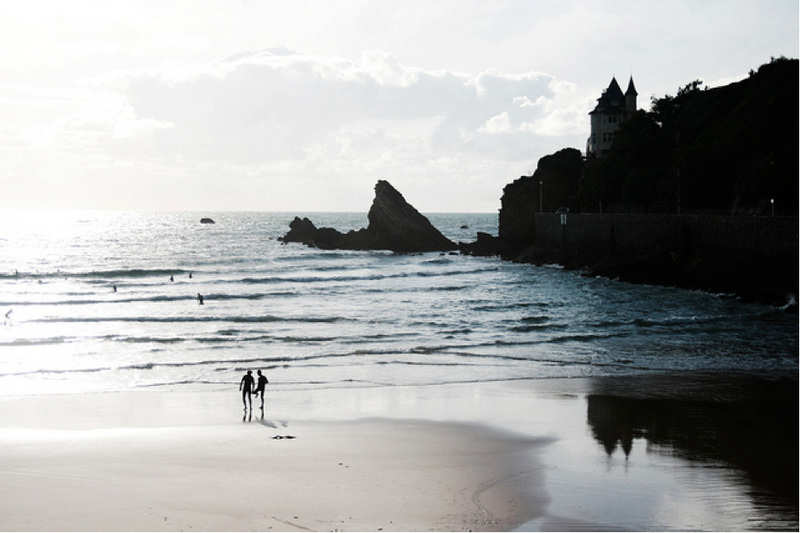 The town of Biarritz is located in the Bay of Biscay in the south-western regions of France. The town is known for its luxurious beach culture and sea side activities. The town enjoys a temperate oceanic climate with temperatures never exceeding 25 degrees in summers and never going below 4 degrees in winters. This makes it one of the best choices for beach activities and is known for its premium luxury beaches. Cote des Basques is one of the best beaches in France with lush green stretches away from the shores, mountains and a remarkable cuisine. 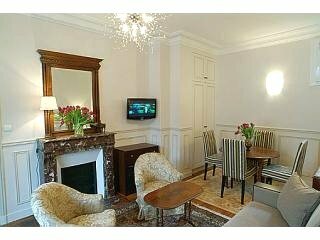 It is also one of the most preferred romantic getaways in France. The waters of the Atlantic are majestic and provide a great spot for the surfers. The beach of Côte Sauvage is located by the Atlantic shoreline of France. Unlike other beaches which feature a bustling beach life with tonnes of celebration, Côte Sauvage is located totally off the beaten path in an unspoiled hamlet. It is reached via 10 minute hike from Ronyan. The beach stretches from La Palmyre towards La Tremblade. The 30 kilometres long shoreline is totally unspoilt with not a single beach umbrella or cabana in sight. The shoreline is backed with a vast stretches of beach grass. Visiting France is one of the most luxurious touring experiences you might ever have. The country not only stands as one of the global economic powers but also is one of the most sought out tourist destination due to its vibrant culture and a plethora of natural and man-made resources and attractions. Make sure you visit the above mentioned beaches on your next trip to France to experience the best of what the majestic country has to offer. Our guest contributor Rohit Agarwal is a professional architect and also likes to visit and write about the various tourist places across the globe. He has spent a lot of time on Goa beaches and likes to explore the most bizarre and unspoilt places in the world. He is also the contributor for Trans India Travels, which is a good source of information on tourist places in India. French Beaches on the Atlantic, Mediterranean and English Channel, an overview.